Although wheatgrass is normally grown in open fields and during the 1960s was grown indoors using 1-2 inches of soil, grass can grow without soil. During the 1980’s, one of the largest wheatgrass clinics in the world, grew their wheatgrass exclusively without soil. The Freshlife Automatic Sprouter allows the addition of additives to the water such as liquid seaweed fertilizer. 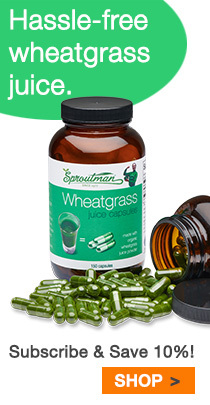 A comparison between soil grown and soil-free wheatgrass can be found in Wheatgrass Nature’s Finest Medicine.